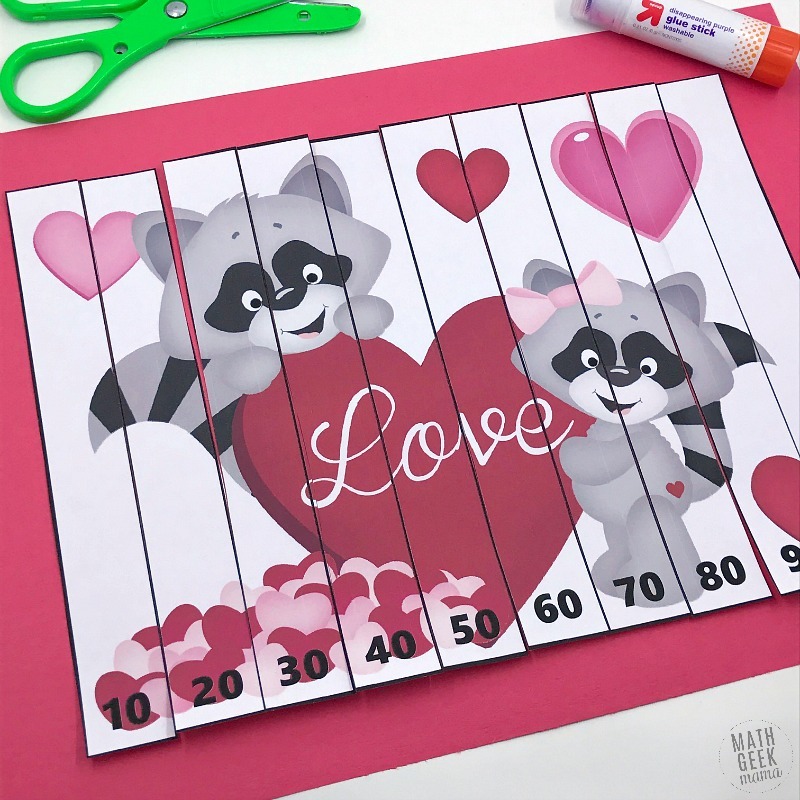 Looking for a cute and simple way to review math skills while celebrating Valentine’s Day? Today I’m sharing a fun way to help kids practice skip counting. 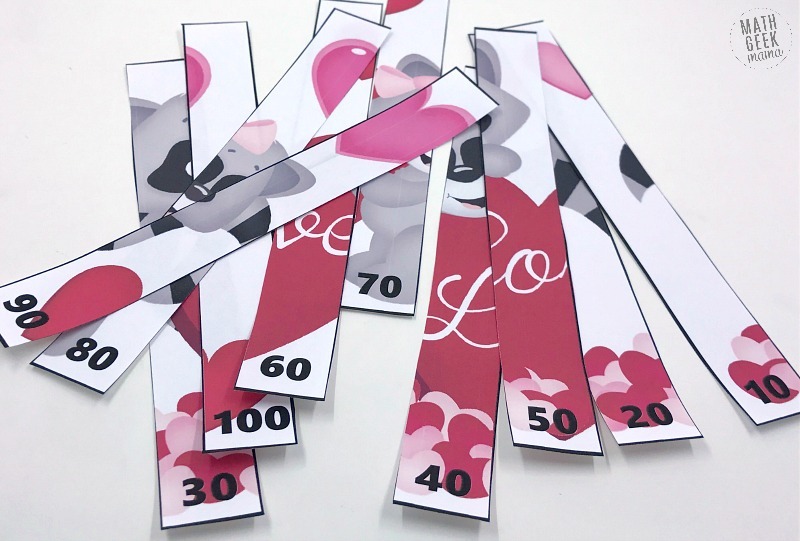 These Valentine’s Day math puzzles will challenge kids to practice skip counting while creating a fun math craft at the same time. Plus, it’s great fine motor practice for younger ones who still need some work with scissor skills! 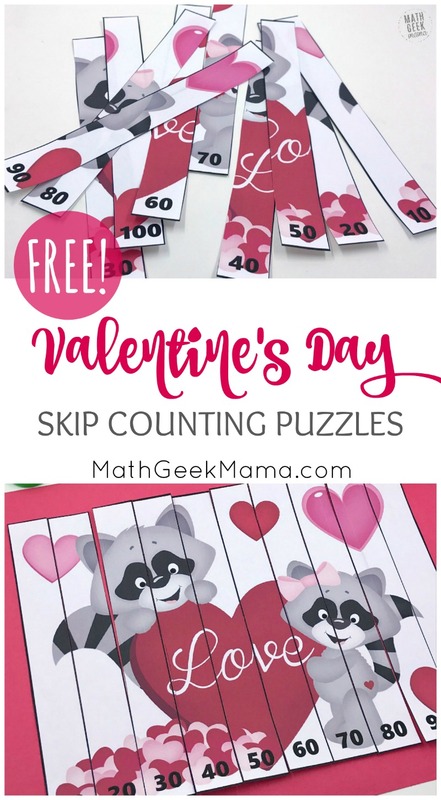 Read on to see all the details and grab the free set of Valentine’s Day math puzzles for kids in grades kindergarten, first grade and second grade. One of the great things about these puzzles is that they are low-prep. Just print out the puzzles and gather a few materials and you’re all set. 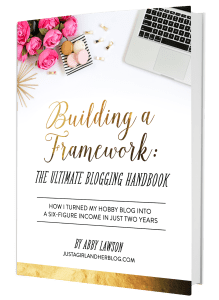 Of course, if you want to keep this really simple, and you don’t care about keeping the final product, you can simply print the puzzles and grab some scissors, without worrying about arranging them and gluing them onto a piece of construction paper. Another option is to laminate the puzzles first and then cut them into strips. 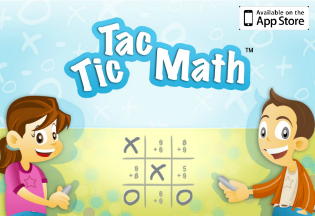 You can then use these as a super simple math center where kids practice completing the puzzles and then mix them back up for other students to try. Just be sure to keep the strips for each puzzle in separate zip lock bags so they don’t get mixed up. Once these skip counting puzzles are printed, you will need to cut them into strips, as you see in the picture. If you would like your students to help and also get in some fine motor practice, have them cut one or two puzzles out and mix them up, then switch with a partner. If you would prefer to have the materials prepped ahead of time, simply cut them into strips and mix them up for students. Once all the strips are ready, kids can work to organize them in order, following the skip counting pattern. There are 10 strips for each puzzle, so this will help kids build a solid foundation for their multiplication facts up to 10. Once they have completed the puzzle, they can glue them down onto a piece of construction paper. 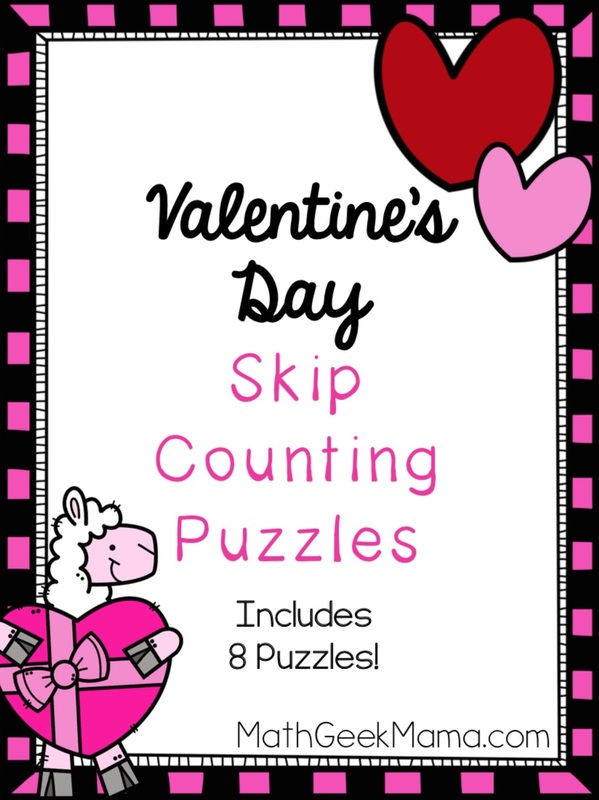 This download includes 8 different Valentine’s Day themed skip counting puzzles. Because this set is designed more for younger kids, the emphasis is on learning to skip count by 2, 5, and 10. This way if you only want to work on 2s, 5s and 10s, you have multiple options. If your kids are a little older and are ready to work on 3s, 4s & 6s, you can print those as well. 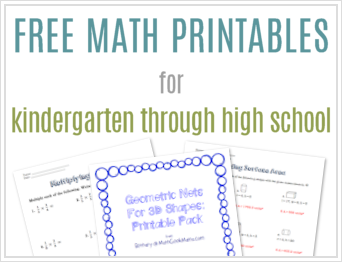 I hope you and your kids have fun with these puzzles and are able to learn or reinforce this important math skill! To get the free download, just go to my shop at the link below. Have older kids who want more of a challenge? This set of Valentine’s Day logic puzzles is sure to be a hit! 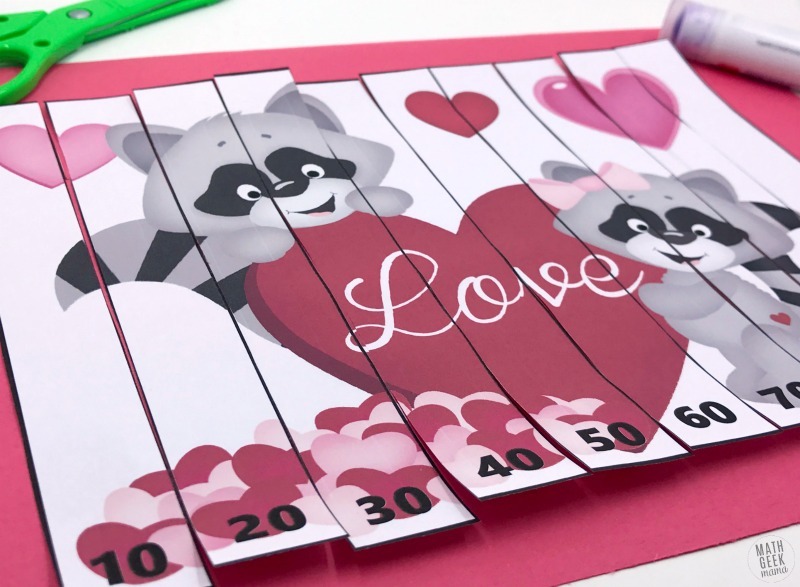 And for even MORE Valentine’s Day math ideas, see this huge list of more than 30 Valentine’s Day Math games, activities and printables for kids of all ages.